LEARN partners are working closely with related organizations, initiatives and already existing networks. This includes the Global Logistics Emissions Council (GLEC), a voluntary partnership of companies, industry associations and programs. 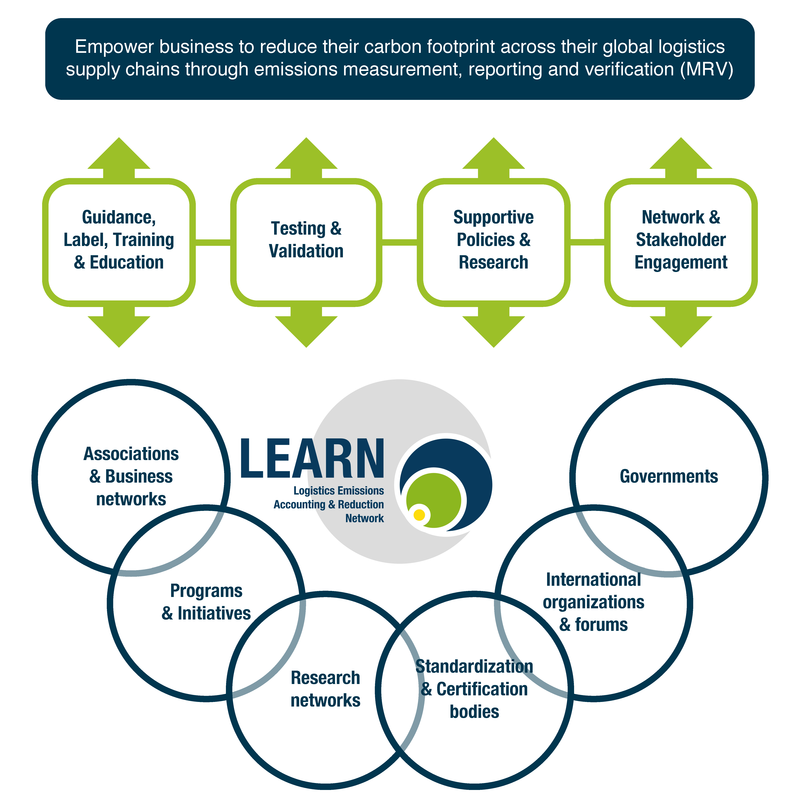 The LEARN project builds on and seeks to improve the ‘GLEC Framework for Logistics Emissions Methodologies’ that combines existing methods and fills gaps, making carbon accounting work for industry. For the first time, emissions can be calculated consistently at the global level across all transport modes and transhipment centers. Check out the LEARN video presentation and the LEARN project summary. Watch the video with highlights of the LEARN Project and International Workshop.